Dr Villagonzalo is here to serve your footcare needs and his practice is open five days a week. The practice is located at 2255 N. Triphammer Road. There is ample convenient parking and an access ramp for wheelchair patients. Contact us today or stop by our convenient location at the Triphammer Marketplace at the corner of Triphammer Road and Route-13. On February 23, 2007, an article appeared on the Wall Street Journal that describes a small but growing number of doctors converting to a high tech, low overhead, do it yourself practice to preserve a disappearing kind of care once long ago provided by solo practitioners in the art of healing. The practice seeks to use technology such as electronic medical records and digital xray processing to achieve such a goal. Micropractice is a response to large practices with many doctors, high overhead and the need to see many patients in little time. 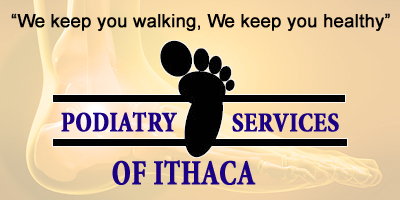 It offers the warm personalized care of your mom and pop services. The practice has a Green Friendly initiative as well. Electronic Medical Records negate the need for wasteful consumption of paper. Digital xray processing stops the use of potentially harmful chemicals.